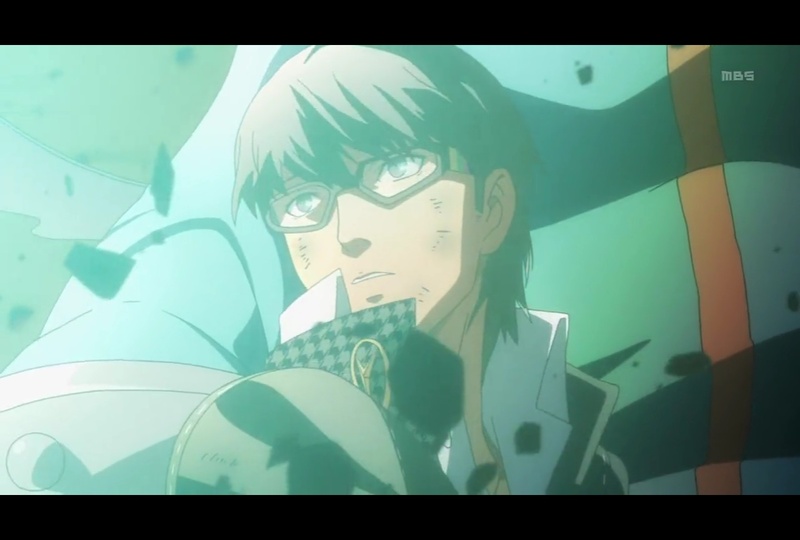 For the most part, the early episodes of Persona 4 feels like a wild goose chase. According to people that has played the game, the series actually feel very much like how the game went down. But since I've never played game, I have no way of knowing. One thing I could tell you for sure, is the fact Persona 4 is in a completely different league than Persona: Trinity Soul, which was one of the slowest and most boring plot I've seen in animes. It's a bit hard to understand early on, in turn, the mystery just didn't seem that impressive. However, as the story progresses, more and more persona revealed, they literally stack the mystery up one block at a time and constructed a rather complex plot that in my opinion matches the reputation of the Persona series. The story of Persona 4, reflects upon a problem that exists in today's society, where instead of accepting realities everybody is facing, we'd rather hide behind the shadow and cheat ourselves out of seeing the truth. As a result, we only see what we want to see and hear what we want to hear. At some point, we start to live in our shadows, and eventually, we become our shadows. Recommendation: It may not look that impressive early on, but as they're stacking the pieces higher and higher, it becomes more and more interesting. I wouldn't say this is a must watch, but if you have some extra time, this would be a good series to pick up.